There are lots of ways to make gravy from a roast. Some can get rather complicated. What we do is simple. You can easily build a luscious, lip smacking gravy from the pan drippings! As soon as the roast is done cooking, we remove it to a cutting board to rest. While the roast is resting, we place the roasting pan and all of the drippings it contains on the stovetop and start making the gravy. We’ll use either cornstarch or flour to thicken the gravy, the process is similar for both. So, if you want to make 2 cups of gravy, remove all but 4 tablespoons of fat and drippings from the roasting pan (set aside for future use). These instructions will yield about 2 cups of gravy, but you can easily divide or multiply to adjust for how much gravy you want to make. When you cook a roast, whether it's turkey, chicken, beef, or lamb, you should end up with plenty of browned drippings and fat from the roast when it's finished. The "drippings" are browned juices and fat. All of the flavor a gravy you make from the drippings comes from those browned bits. You need fat as a base for the gravy. If you have pan juices, but they haven't browned at the bottom of the pan after the roast is done, you can put the empty pan back in the oven. Set the temp to 450 or 500°F and cook until the juices evaporate and begin to bubble and brown at the bottom of the pan. In this approach to making gravy, we break up the drippings as well as we can with a whisk, but don't worry about any browned bits in the gravy itself. If you want, you can pulse the gravy in a blender to make it smoother, but we never bother. The browned bits are the best part! 1 Remove all but 1/4 cup of fat from pan: Remove the roast from the roasting pan. Pour off all but 4 Tbsp of the fat in the pan. If you don't have enough fat in the pan, add butter so that you have at least 4 Tbsp of fat in the pan. 2 Scrape up browned drippings: While the pan is still warm, scrape the bottom of the pan with a metal spatula to loosen any browned drippings that might be stuck to the bottom of the pan. 3 Place the pan on the stovetop on medium heat. If you are using a roasting pan that won't work well on the stovetop, scrape up all of the drippings and fat and put into a large shallow sauté pan. 4 Make cornstarch slurry: Dissolve 4 Tbsp of cornstarch in the minimum amount of water needed to make a thin paste - about 1/2 cup. 5 Pour the cornstarch slurry into the pan with drippings and use a wire whisk to blend into the drippings. 6 Whisk while slowly adding liquid: Stir with a wire whisk until the gravy begins to thicken. As the gravy thickens, slowly add stock, water, milk, or cream, or some combination to the pan (I like to use stock, my mother usually uses water). Alternate stirring and adding liquid, maintaining the consistency you want, for several minutes (about 5 minutes). You will probably add about 3 to 4 cups of liquid all together. Taking into consideration the evaporation that is occurring while the gravy is simmering, you will end up with about 2 cups of gravy. If the gravy isn't thick enough, make more cornstarch slurry and whisk it into the pan. 7 Season to taste with salt and pepper. 1 Remove all but 1/4 cup of fat from pan: Remove the roast from the pan. Remove excess fat leaving 4 Tbsp of fat plus juices and browned drippings in the pan. 2 Scrape up drippings and place pan on stovetop on medium heat: Use a metal spatula to scrape up any drippings that are sticking to the pan. Place the pan on the stovetop on medium high heat. 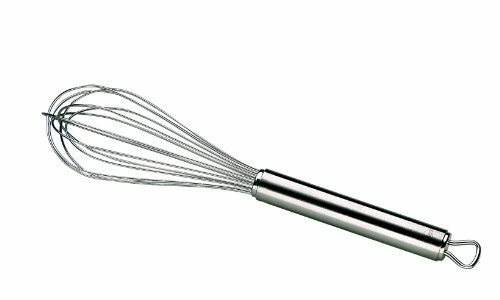 4 Whisk while slowly adding liquid: Slowly add stock, water, milk, cream, or a combination to the pan, whisking vigorously to dissolve the flour into liquid. Hello! All photos and content are copyright protected. Please do not use our photos without prior written permission. If you wish to republish this recipe, please rewrite the recipe in your own unique words and link back to How to Make Gravy on Simply Recipes. Thank you! What's the difference between using cornstarch or flour to make your gravy? Cornstarch does have more thickening power than wheat flour (because it's pure starch, while flour has some protein in it). So usually you need a little less cornstarch than flour for the equivalent thickening power. That said, we are using equal amounts for either flour or cornstarch in this method because we vary the amount of liquid we add and we reduce the gravy by simmering it, to get to the desired thickness. Cornstarch also has this property that if you cook it in the gravy too long, it will lose its thickening power and the gravy will become thin again. It will also lose some thickness if refrigerated and reheated. If that happens, you'll have to add more cornstarch slurry and heat the gravy to thicken it up again. If you use flour, you'll want to brown the flour a bit in the fat before adding liquid. Browning adds more flavor to the gravy and gets rid of the raw flour taste. You're basically making a roux. We find that a flour-based gravy holds up better and reheats better later, which is why we tend to prefer using flour over cornstarch to make gravy, unless we have a guest who is eating gluten-free. Best gravy I ever made! For years I’ve been a Nervous Nellie knowing I had to make gravy. My turkey gravy has always been a pale comparison to my late mother’s. Too thin or too thick, often lumpy and tateless. All I could recall of her original recipe is that she used only cornstarch and never flour as a thickener. And that it was always perfect in every way. A tough act to follow. I had pre-cooked my turkey but it was too late to make the gravy the same day so I had ended up pouring the drippings through a sieve adding the tasty brown bits from the pan and refrigerating it all. So tonight I served it with my turkey and trimmings. My husband couldn’t get enough of it using it on his stuffing and potatoes too! He even admitted it was better than his mom’s gravy! I knew my mom would have said it tasted just like her’s from so long ago. Who would think gravy could make a person so happy. My husband is already planning to make leftover turkey, stuffing, gravy and cranberry sandwiches tomorrow! Best gravy recipe ever. Everything so well explained and easy to follow. Thank you Simply Recipes! This recipe is a definite keeper. Hi Cynthia, thank you so much for sharing! I’m so glad our instructions were helpful. Eh, you can make gravy from any meat, really. I wouldn’t recommend trying it with fish though (on the other hand, I’ve never experimented. . . . Maybe I’ll try that and see? I wonder if you could make a good sauce like a gravy from those drippings). I’ve literally made gravy from hamburger, sausage, chicken, pork, Turkey, etc. All you have to do is cook the meat until you’ve got a good amount of juices. Add some flour (NOT TOO MUCH! I made that mistake with my lunch today, and it made the gravy too thick. Delicious still, but too thick). Add some water. Mix and keep cooking it until you’ve got it nice and boiling. I tend to add lots of extra water and let it cook down to the consistency I want. Add lots of black pepper and just a pinch of salt. When you start smelling that black pepper and those juices together as you stir, that’s when you know it’s just right. I’ve also found adding a little chili powder or garlic can spice it up, though the black pepper is the absolute driver of the flavor in this sauce. If you don’t have black pepper, you don’t really have gravy as far as I am concerned. Usually, I don’t add the garlic or chili powder as much because I already use it (and pickle juice) while cooking my meats, so the spices and flavor is already in there, and adding more can overpower the dish. I just didnt know how to make gravy. Im Cuban and we really dont use gravy with our food. I’m Cuban too and one of my favorite meals is the traditional pork roast with a garlic mojo (gravy) made with the drippings from the roast. Saute 6 crushed garlic cloves in 2 Tbsp oil until almost brown. Add 1½ cups of drippings from pork roast. Mix 2 Tbsp cornstarch in 2 Tbsp water. Slowly add cornstarch slurry to mixture, while whisking, until desired consistency. This gravy is great for dipping Cuban bread or tostones in it. You can also add it to the cooked pork for flavor !!! Pour off everything then Ddeglaze the pan with wine or broth on the stove so you don’t have to scrape the bits. Add back the needed fat and proceed. If anyone is avoiding corn & gluten using tapioca starch or a gluten-free baking mix works great. The amounts of tapioca starch maybe more than mentioned in the recipe above but works great! Just play with the amounts as you whisk! Thanks for the recipe and ratios Rachel! I use this method every Thanksgiving. Works great every time! I put turkey broth in the roasting pan with my turkey. Then when it’s done I have lots of rich delicious liquid that makes great gravy. I just strain and bring to a boil with some flour. * “Hard simmer 2 quarts of stock (chicken is good, doesn’t have to be homemade), add onion, celery, and bay leaf. Reduce until you’re down to a cup of goodness. Whisk in a little cornstarch slurry and season like gravy. Add more stock for more volume. Hope this helps! Let us know how it turns out! Use that delicious neck and giblet flavor boil it down. And make your broth with onion and celery. Carrots as well. If you like strain it. I was faced with this one year, somebody else wanted to cook the turkey. I was not a happy camper. Not only did you have to make gravy different, but no stuffing in the bird. I compromised for 1 year. 1 year. When I am making gravy, I add my stock to the drippings, bring to a boil. In the meantime I have taken about one cup of prepared stock and 4 tbs. flour. 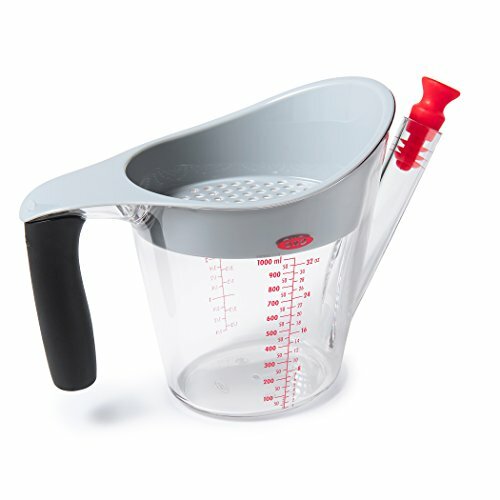 Place mixture in a jar with a lid, shake like I have gone mad and then slowly add to the drippings while continuously stirring. Perfect gravy and plenty for everyone, every time. By putting the flour and stock in the jar, then shaking it, any lumps in the flour are completely broken up and absorbed by the stock. For flour gravy you dont give the amount of liquid? Hi Tim, it’s the same as with the cornstarch method, 3 to 4 cups. I’ve clarified that in the instructions, thank you! I boiled pork chops and used the broth for gravy. I melted butter, dissolved some flour, a bit of cornstarch, and a cup of milk… bring it to boil with constant stirring. Salt and pepper to taste. Seasoning for added flavor and color. Actually a great way to do it is to reserve ALL of drippings (stock) from the pan…let cool, skim off most of the fat (or all if you prefer. If you don’t have at least 4 cups of drippings (stock), add some store bought til you do. Bring to a boil. Dissolve cornstarch in cold water. Rule I use is 1/2 T cornstarch per cup of liquid. Add slowly to boiling broth and beat it with wisk till thick as you like (longer you cook it, the thicker it will be with cornstarch). Yours is simple and easy, yes. I like to add a mirepoix and roux. Both can be made in advance. Between brining and cooking my turkey and making the gravy, mine can become a three day project. I put all the turkey bones and scraps into the roaster add water and make a broth. You can crush the bones also releasing flavor from the marrow. I also add a spice sachet. Then I strain all the stuff out to get clear broth and add back the roux, chopped onions and tons of mushrooms. It is a lot of work but it is sooo good. You really need to have one person in charge of the turkey and gravy and somebody else making all the side dishes. It’s best if you have two turkeys so you can make the gravy the day before…you need to sacrifice a turkey to make it. One quibble….it’s not 2 tablespoons of flour or cornstarch. You use half the cornstarch (if that’s what you have to use) than if you were using flour. 1 Tbs cornstarch = 2 Tbs flour. I have made gravy both ways, using either flour or corn starch and find that the corn starch gravy doesn’t “reheat” as well. Stays gelatin like. I add milk to the flour and whisk. Works well every time. Elise, once again, you are my heroine! This is my first Thanksgiving on a low FODMAP diet for severe Irritable Bowel Syndrome, and I was wondering how to thicken my gravy without flour. I worried that although I can use it, cornstarch may not work right, resulting in a kind of Chinese restaurant type clear sauce. Your recipe has reassured me that it is worth a try. Thank you! Very few people have ever heard of fodmap. I research food, everything from acrylamide to zilmax, so I know about IBS and fodmap although they don’t affect me personally. If you can find gluten free flour that would likely solve your problem although I can’t say if gluten free reduces the flours capability to act as a thickener. Two big fodmap criminals are onions and garlic. Two things that would be sorely missed from my gravy. Two alternative thickeners you might try researching…arrow root and xanthan gum. In higher quantities, xanthan gum acts as a laxative but shouldn’t be an issue for gravy. I haven’t found them listed specifically on any low fodmap lists but they may be worth looking into. Worst case scenario, forget about thickening the gravy altogether or just put what you got through a reduction process. This is my go to recipe for delicious gravy – thank you!